The brand forces its own issue onto the ballot: to dip, or not to dip? 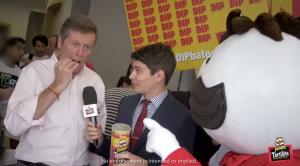 The brand’s latest Canadian campaign, The Pringles DIPbate, plays off the headline-grabbing Toronto mayoral election as well as smaller races around Ontario in cities like Brampton, Mississauga and Ottawa. Conceived by Strategic Objectives, the campaign hinges on a single question: dip or no dip? 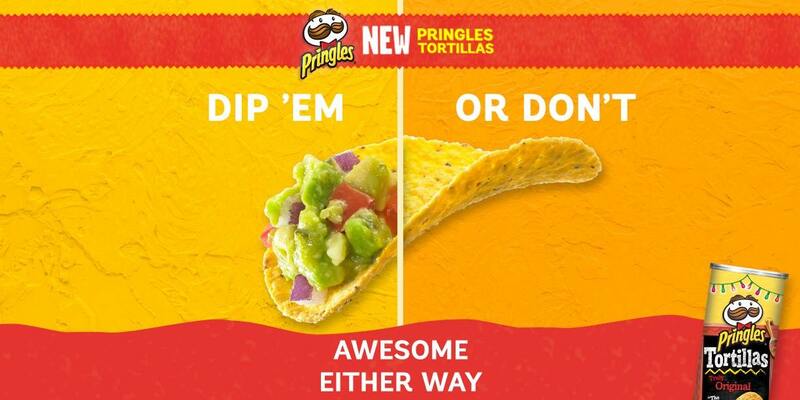 The Kellogg-owned chip brand has taken to the streets to find the answer as part of the promotions for its new Tortilla flavour, released in Canada in July. Street teams from Strategic Objectives, in Pringles branded red and yellow outfits, spent the first two weeks of Sept. at political events carrying “DIP ’em” or “DON’T DIP ’em” signs and asking consumers about their dipping preference. That preference for dip may work in Tory’s favour. Pringles polled 1,500 Canadians and found that 68% are more likely to cast their ballot for a tortilla dipper. The poll also revealed that 62% of Canadians prefer to dip and 70% found dippers themselves likable. Judy Lewis, co-founder and executive vice-president of Strategic Objectives explained that Pringles had a master concept from the U.S. – that the chips are so good enough consumers don’t have to dip them, but they still can. Using that as a guideline, they came up with the dip-focused DIPbate, in light of what was going on in the Canadian market. The agency decided to create a debate about dipping and set it into the context of the Ontario elections, to give the brand an extra topical talking point. So far the brand has produced six videos as well as a slew of DIPbate content on Facebook and Twitter. It has also enlisted five bloggers, including Sidewalk Hustle and Hip Urban Girl, to host DIPbate parties across Canada. While the bloggers were compensated for their posts, Strategic Objectives account manager Adam Sanders said the agency considers the posts earned media, because the bloggers were given editorial control. The campaign also included a product-focused TV spot, digital banner ads, sponsored posts on Facebook and a YouTube pre-roll buy. Starcom handled the media buy for the campaign. 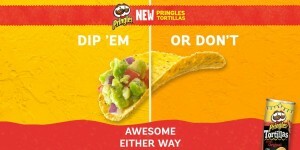 This story can be found at: http://marketingmag.ca/brands/pringles-plays-off-ontario-elections-124506.